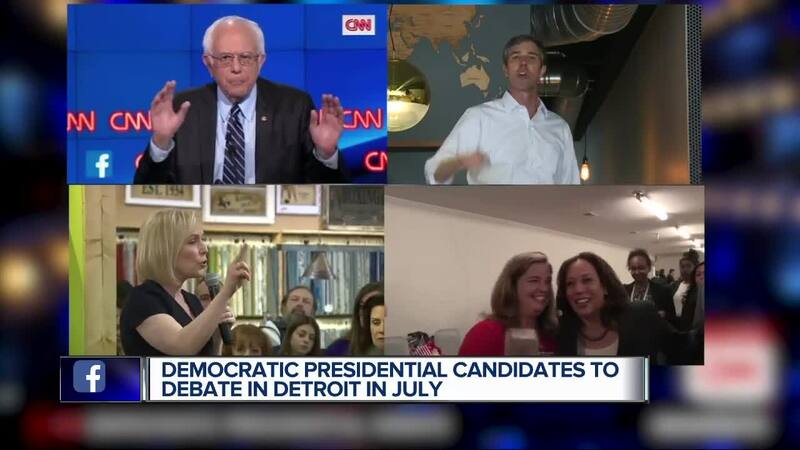 DETROIT (WXYZ) — Detroit will be on the road to the Democratic nomination for President of the United States, as the city will play host to a July candidate debate. The Democratic National Committee announced today that Detroit will play host to the second debate, taking place on July 30 and 31. It is being held across two days to accomidate the large field of candidates. The debate will be broadcast across CNN's cable and digital properties. Time, venue and moderators will be announced at a later date.